Posted in "Delirium as a Full On DH BEAST!" Very different handling. 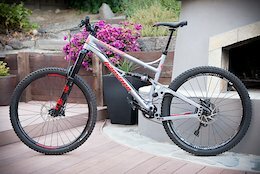 I've demo'd and ordered the Bronson and rode a Spitfire last year. 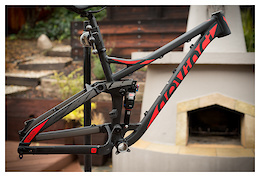 The sagged chainstay length of the Spitfire is much longer than the Bronson. On the Spitfire I had to consciously keep my weight rearward. The Altitude I've been riding this year has much shorter stays sagged, to the point where I need to shift weight forward going into steep corners. The Bronson feels like it splits the difference between the two, I was able to stay centered the whole time I was riding it. This may be different for you based on how you're built, but it's good to keep in mind the differences fc/rc sagged ratio differences. I demo'd both. 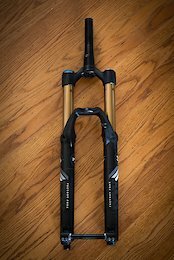 The Ibis handling feels like it has a shorter back-end and longer front end. I suspect this is because at sag the Bronson chainstay length is longer. Seated the cockpit felt longer on the Ibis. Both felt efficient climbing. 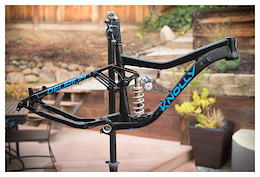 It's hard for me to compare the suspension or some of the finer handling aspects as I wasn't digging the 2.6/35mm tire/rim combo on the Ibis which made it difficult to differentiate traits I didn't like between the suspension and wheel setup. 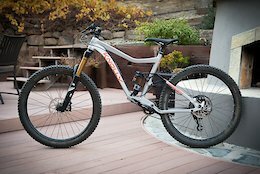 Overall the geometry of the Bronson felt better to me, in fact the geometry matched my body more perfectly than any bike I've ridden in years and I wound up ordering one. YMMV. 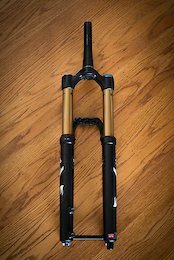 2015 Fox Float 36 RC2 27.5 160mm fork w/ Push ACS3 coil kit in excellent condition. Stanchions are pristine - no wear/scratches. - Includes a Push green spring, which covers 185-210lb rider (geared up) - 15mm axle, non-boost - Tapered steerer cut to 7 1/8" - 44mm offset Selling because I'm changing wheel sizes.